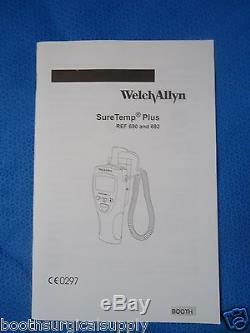 WELCH ALLYN #01692-101EX SURETEMP PLUS 692 THERMOMETER. 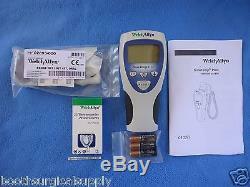 THERMOMETER (THE ONLY USED ITEM IN THIS LISTING) IN EXCELLENT CONDITION! 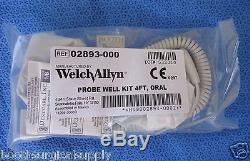 This listing includes a #692 SureTemp clinical thermometer (excellent used condition), new 4' oral probe, box of 25 disposable probe tip covers, new/fresh 2023 premium Duracell AA batteries, and the official Welch Allyn instruction booklet. As an added courtesy each thermometer has been professionally calibrated (August, 2018). For additional information concerning this thermometer. Please note that there is no wall mount- holder included in this listing (please see model #01692-200 if you need a wall mount holder). The thermometer (the only used item in this listing) exhibits minimal signs of use and is in excellent cosmetic condition. 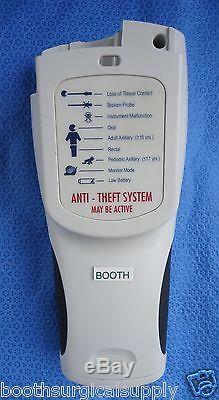 Features and Benefits of this thermometer include. Ergonomic design that is easy to hold, easy to use, and extremely durable. Takes 4-6 second oral temperatures, 10-second axillary and rectal yikes! Temperatures (no rectal probe in this listing). Convenient storage for 25 probe covers. Approximately 5,000 readings from the 3 AA batteries installed. This listing includes the following components (as shown in the listing photos). 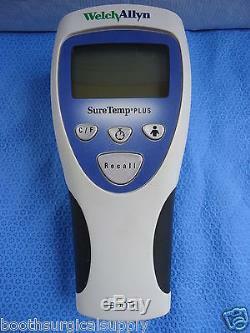 01692-100 #692 SureTemp Plus Thermometer (Excellent Used). Printed Instruction Booklet (26 pages total). Box of 25 disposable probe tip covers. 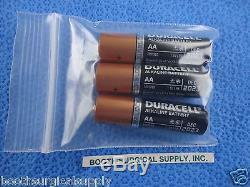 Fresh AA DuraCell batteries expiring 2023. That are necessary for proper entry into your country. We have been rated A+ by the BBB since 1984! Thank you for taking the time to view and consider our listing. 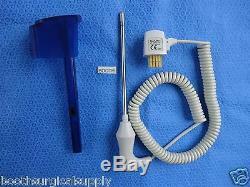 This item is offered by Booth Surgical Supply, Inc. 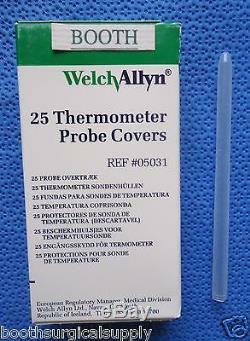 The item "WELCH ALLYN #01692-101EX SURETEMP 692 THERMOMETER (USED) WITH NEW 4' ORAL PROBE" is in sale since Wednesday, August 20, 2014. This item is in the category "Business & Industrial\Healthcare, Lab & Dental\Medical, Lab & Caregiving Furniture\Surgical & Examination Lights". The seller is "boothsurgicalsupply" and is located in Durham, North Carolina. This item can be shipped to United States, Canada, United Kingdom, Germany, Japan, Australia.